- 4 minutes spent on each technique. Focus on learning the technique more than getting the ball to a team mate... 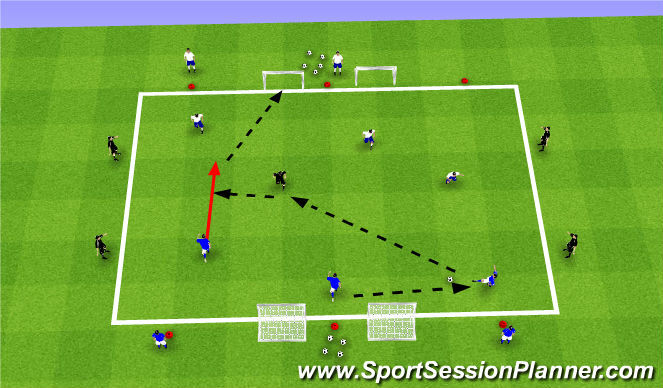 There are no bad passes in this exercise!! - STRIKING: Location of plant foot, the spot on the ball is just as important as the technique of the kick, see your target before the kick, look to create consistancy, what does/doesn&apos;t work? - 3 Teams of ~5 play 3v3+1+bumpers to 2 puggs placed centrally. One team is nutral, sets up as wide targets and a free running middle target who switches the middle player every time the ball goes out. Every 4 minutes the nutral team switches with an active team. - Support the play at all times, look for space behind opponant, watch for cues and anticipate the ball coming your way (be ready). - Cues: player turns toward you, body language, you ask for ball, you see what your teammate sees. 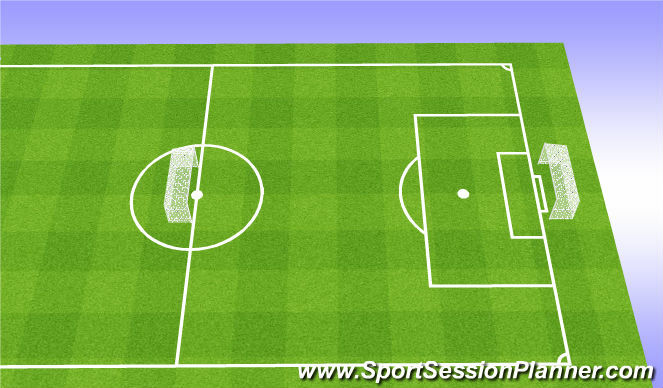 - 2 Grids of 2v2+1 at both sides of mid field. After 3 passes, swing the ball and get in. Back line starts in correct set up, shifts and has to deal with attackers. 3 points for a ball scored off a cross.